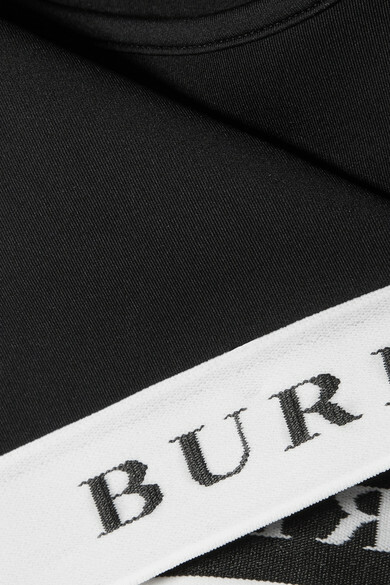 Burberry's bra top is perfect for underpinning this season's sheer shirts and blouses. Made from sculpting stretch-jersey, this sporty style has a contrasting elasticated trim that's woven with the British label's moniker. Shown here with: Burberry Shirt, Burberry Track pants, The Row Shoulder bag, Common Projects Sneakers, Jennifer Fisher Earrings.